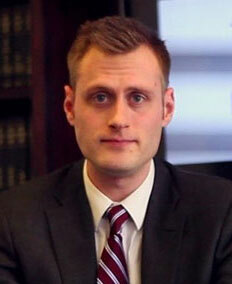 Ben Sorber joined DiCaudo, Pitchford & Yoder as an associate attorney in 2014. Since joining the firm, his practice focuses largely on criminal defense. His areas of representation include misdemeanor and felony charges, pre-charge representation, trials, and appeals. In addition to his criminal practice, Mr. Sorber also represents municipalities, corporations, and individuals in litigation matters ranging from civil rights violations to contract disputes. Prior to joining DiCaudo, Pitchford and Yoder in 2014, Mr. Sorber served as the judicial clerk for Judge Jerry K. Larson, Presiding Judge of the Akron Municipal Court. As a judicial clerk, he assisted the court with criminal cases, traffic violations, and civil matters. Mr. Sorber graduated from the Akron University School of Law in 2014 and received his Bachelor of Arts in English and Political Science from Binghamton University in 2011. Throughout law school, Mr. Sorber competed on the University of Akron’s nationally ranked trial team where he succeeded in national and regional competitions, receiving top honors at the National Trial Advocacy Competition. Mr. Sorber is an active member of the Ohio Bar Association and is licensed by the Supreme Court of Ohio, United States Sixth Circuit Court of Appeals, and United States District Court for the Northern District of Ohio. Represents national corporations in civil litigation in matters ranging from contract disputes to collections. Represents individuals who have been charged with misdemeanors and felonies in state and federal court. Advocates for clients whose constitutional rights have been violated in regard to wrongful arrests, baseless traffic stops, and illegally obtained evidence. Represents residential property owners in eviction proceedings and lease disputes.